The Nintendo Switch has launched off the starting grid with fire popping out of its exhaust and is so far taking every corner so well that it’s getting a purple drift. When the Wii U launched it was easy to pick one up, tons could be seen on store shelves, and although Nintendo is famous for playing with consumer demand, the fact that you can’t get your hands on a Switch is surely a sign people want the console. Even with the limited number of Switches that have been made available, Nintendo has already announced that they have shifted over 2.74 million units of the hybrid system with more flying off shelves as soon as they’re back in stock. This is in line with sales expectations for the system, something that couldn't be said for the Big N’s last home console, the Wii U. It seems as though, so far at least, Nintendo has shaken off most of the bad habits that it picked up with the Wii U and is instead determined to make one of the most dramatic comebacks in gaming history. Here are five reasons why the Nintendo Switch is going to succeed and not repeat the mistakes of the Wii U.
Nintendo’s E3 2017 showcase demonstrated that, although the company is still bringing a few new titles to the 3DS, the Japanese company has its eyes fixated on the Switch and getting its first-party studios to fire on all cylinders to create appealing games for the system. Zelda was the explosive start, Mario Kart was the well-executed drift and games like Arms and Splatoon 2 are the mushroom speed boosts that the Wii U never had. Furthermore, with games such as Super Mario Odyssey coming at the end of the year and titles like Metroid Prime 4 that are set to come much later in the system’s life, it’s clear that Nintendo knows that first-party development is crucial for the Switch to keep momentum. Sure, the Wii U had a few third-party games when it launched, but games like The Elder Scrolls V: Skyrim and Rocket League are coming to the console and playing to the strengths of the device. Being able to pop off each Joy-Con and blast out a trash talk filled game of Rocked League is something that you can’t do on any other console, and that’s one of the reasons the Switch is so popular. Furthermore, Nintendo now seems more than willing to use their characters in more experimental titles such as Mario + Rabbids Kingdom Battle developed by Ubisoft that looks like an awesome mix between XCOM and exploration-based gameplay. The success of the system and the attach rate of games on the system is making the Switch hard for third-parties to ignore, as long as there are Switches flying off shelves, games will be in development for the system. One of the biggest blue shells to hit the Wii U was the fact that the messaging for the system was mixed and confusing — there were tons of people that thought the tablet was just an accessory to the original Wii. There’s no confusion with the Switch as archaic accessories are nowhere to be seen — Nintendo has cleaned its slate and the market appears to be thanking it for doing so. Moreover, the Switch is an elegantly designed system, one that when people pick it up and see the performance of the device combined with the fact it can be played on a TV as impressive, there’s no Fisher-Price looking controllers here. What’s more, the system is bringing back local multiplayer in a big way with the ability to play awesome titles like Mario Kart with a friend as standard on the system without any additional extras. The Switch is establishing itself as a new device with a ton of games that you actually want to play — that’s going to give the system legs. Nintendo has always used its heritage as a selling point for its systems — the company has acknowledged that it knows there is demand for a Virtual Console on the Switch. The company has already detailed that when the online service for the Switch launches users will receive classic games for the console that have been modified to add features such as online play into the retro titles. But imagine being able to access GameCube games on the Virtual Console, that would be incredible and would get rid of the slightest chance of the hybrid system experiencing any kind of console drought. 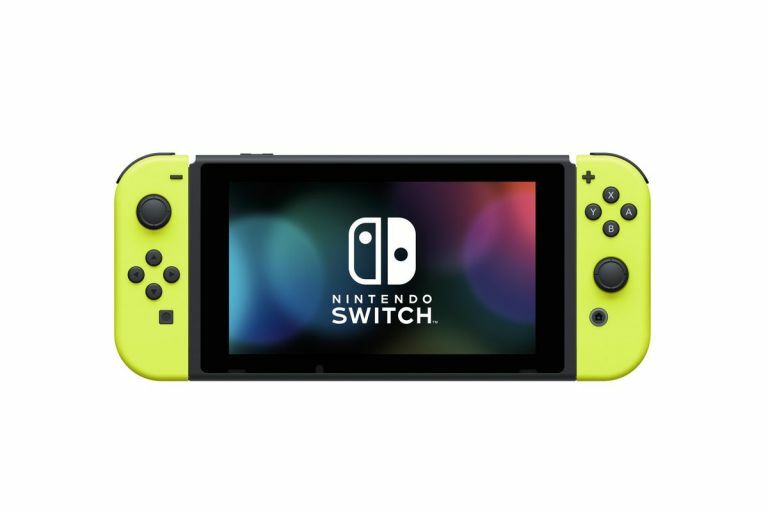 Although the price may suggest otherwise, Nintendo isn't banking on the Switch being used as your primary console, instead the system is perfect when its used as a second console used for playing awesome first-party Nintendo games and as a platform to experience third-party titles on the go. You’re not going to get graphics that you see in titles like God of War and you’re not going to get games like Star Wars Battlefront II, but the Switch doesn't need that to be a noteworthy system. The Switch is appealing to kids for having Mario’s moustache alone, but for adult gamers, the system allows for more gaming than ever with the ability to conquer a couple of Grand Prix cups on Mario Kart or to explore a few miles worth of land in Zelda. The console lets you play when you can’t get your hands on a Microsoft or Sony system and that makes it a perfect secondary console. It’s so far so good for the Nintendo Switch, but this Grand Prix is still on its first leg and Nintendo need to make sure they keep doing all the right things to keep fans enticed and for the system to be appealing to everyone else. However, it does look as if the Wii U nightmare is over and that the Big N has taken a ton onboard after the failure of the system. With first-party firing on all cylinders and third-parties being tempted by the popularity of the system with every new console that’s sold, the future certainly looks bright for the hybrid system. If Nintendo continue the system’s momentum, then this will surely be one of the biggest comebacks the gaming industry has ever seen.